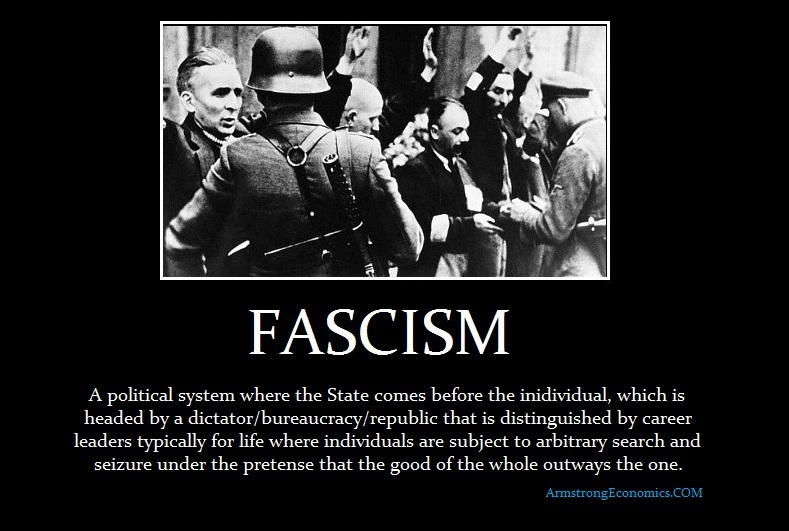 Fascism has been a term applied to the manner of organizing a society in which a government ruled by a dictator/bureaucracy that is unelected or a republic with pretend “lifetime” politicians, controls the lives of the people and in which people are not allowed to disagree with the government. Such systems have always placed the “good” of the state before the worth of an individual. The right to property is subject to constant search and seizure and courts only rule in favor of the state. That was the closing days of Rome. It was also the Soviet Union and especially the East Germany with respect to organization. 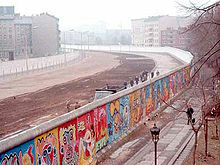 I went behind the Berlin Wall before it fell. You could not speak freely on the street but had to wait until you were alone.The Soviet Union was a Communist/Fascist State where you could not disagree with the government and they owned everything. Government corruption may be at an all time high in history. I can find few periods where the state has hunted down its own people other than during the collapse of Rome. I have written about Maximinus who was declared Emperor by the troops and just consider them as government workers. 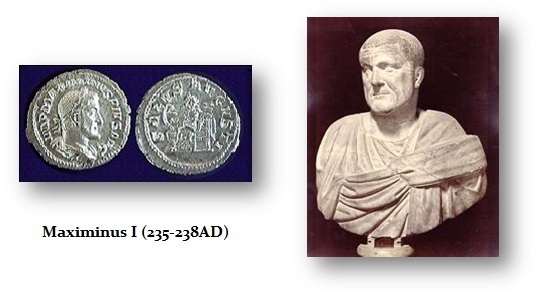 Maximinus simply declared ALL PRIVATE wealth in the nation belonged to the state to pay the troops (government workers) so that government could retain its power. This was the first attempt at a Communist-Fascist State hybrid. 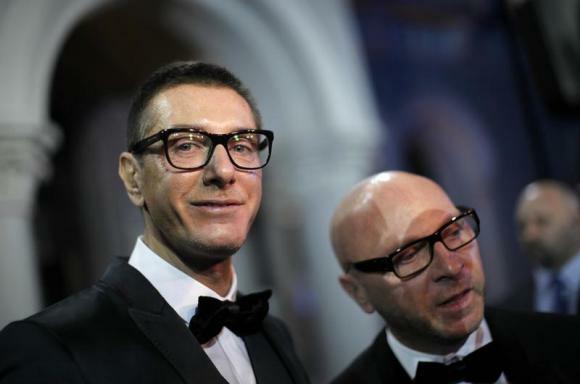 In Italy, the famous Fashion designers Domenico Dolce and Stefano Gabbana were sentenced to 18 months in prison this week for keeping hundreds of millions of euros from Italian tax authorities offshore. When I say there is a worldwide hunt for capital that is destroying the world economy – this is NO JOKE! Politicians have spent whatever they like and then imprison citizens for not handing over whatever they demand. This is not democracy – it is totalitarianism. The have NO right to take money from people and criminalize refusing to pay unreasonable sums. People come together to form societies because a synergy emerges that creates an economy from the Invisible Hand that is larger than the sum of the parts. It has historically be VOLUNTARY. Government has abused its power and looks upon the people as a herd of unwashed wild animals for them to drive in whatever direction they desire for their own self-interest. They retain that power by preaching to the ignorant that they are NEVER the problem, it is always the “rich” who refuse to turnover everything they own so politicians can live high and mighty. If there are any other species of taxes that are not direct, and not included within the words duties, imposts, or excises, they may be laid by the rule of uniformity, or not; as Congress shall think proper and reasonable. If the framers of the Constitution did not contemplate other taxes than direct taxes, and duties, imposts, and excises, there is great inaccuracy in their language. Clearly, taxes had to be fair to the states being uniform and apportioned by population. Only Socialists argued that taxes should be higher on a percentage basis the more you earn. They see any uniformity as an inequitable requirement. Let we claim women should have equal pay to men and there should be no discrimination with respect to race of creed. So where does this “social justice” come from other than coveting your neighbor’s possessions simply because they has things you do not. years, and courts need to return to it. Clearly, taxes that were not uniform or disproportionate had no constitutional weight. So much for Obama, IMF and Piketty. The Founders knew best. Any sort of direct taxation against an individual necessitates a loss of liberty, freedom, and rights. In the USA, you cannot be imprisoned for NOT paying your taxes. They imprison you for not telling them you owe taxes. This is the lawyer-politicians again and how they circumvent the fundamental principles of the constitution all the time. This is no different from locking-up people who protest by claiming they lacked a permit or walked on the grass. In Russia, they just lock you up and don’t bother to pretend you have rights. There is no real difference. This hunt for taxation on a global scale is simply outrageous. They track $3,000 now, not billions. I just got a call from HSBC Jersey conducting a ‘risk assessment’. They wanted to know why I had 6 different currency a/c’s & where all the money came from as well as how much money I earn in Asia & how I spend the cash. The funny thing is I only keep GBP1,000 in the HSBC a/c’s anyway!!! !